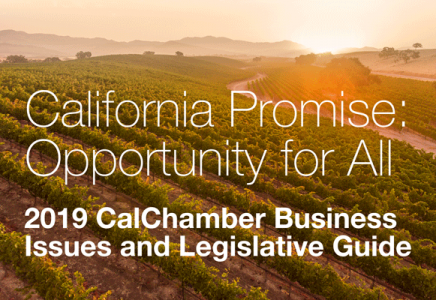 Several newspapers have joined the California Chamber of Commerce in recommending a “no” vote on a ballot initiative that would extend Proposition 30 income tax hikes until 2031. Proposition 55 extends by 12 years the temporary personal income tax increases enacted in 2012 on earnings over $250,000, with revenues allocated to K–12 schools, community colleges, and, in certain years, health care. CalChamber did not oppose the original Proposition 30 tax increase in 2012 because the measure was supposed to be temporary and the state was in the midst of a dire financial situation. An extension of Proposition 30 would make the tax virtually permanent, even when the state’s budget is balanced. The state currently has in excess of $3 billion in reserves and has a balanced budget that pays down debt and saves even more for future economic downturns. In June, the Legislative Analyst’s Office anticipated an $8.5 billion reserve for the 2016-17 state budget. Also, revenue from the personal income tax is highly volatile and any anticipated revenue from Proposition 55 might be significantly reduced when California is faced with future recessions. Passing an extension now is premature, because Proposition 30 taxes do not expire until the end of 2018. For more information on Proposition 55, visit www.hjta.org.